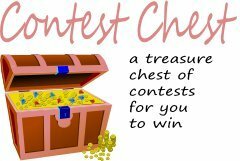 Reviews, Giveaways, The Bay Area and everything in between! Worried about ruining your children’s (or your) body clock if you let them do the New Year’s Eve countdown at midnight tonight? Then check this out! 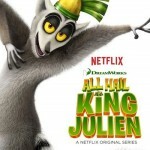 King Julien is hosting his very own kid-sized countdown special on Netflix! You and your family can use this special New Year’s Eve special to do a countdown no matter the time of day! If your New Year’s Eve countdown is closer to 7pm than midnight, you’re not alone. According to a recent survey from Netflix, a third of parents (34%) admitted they either had or planned to start the party early and fool their kids into thinking its midnight long before the ball drops. 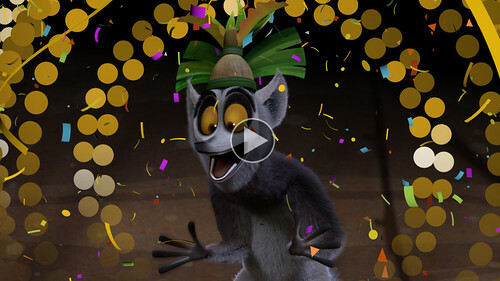 Check out the trailer of King Julien’s NYE Countdown on Youtube! 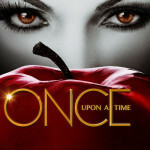 You can also find it on Netflix.com or stream it on your TV! 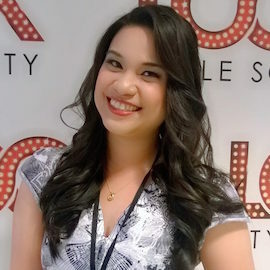 * I am a member of the Netflix Stream Team and I received a subscription as well as other perks for promotional purposes. I think this is just awesome. I will be babysitting my grandchildren and intend on using this. Great fun! That’s what I used to do. Start the countdown at an earlier time. Young kids don’t need to be up until midnight. Heck, I don’t even stay up that late. Ill have to tell my Daughter about this,Its neat. This is great, you don’t have to worry about the children staying up too late. Just stream King Julien’s NYE Countdown at whatever time you choose, and the children can go to bed at an earlier hour. Thank you for sharing this post. All my grandkids love him, I am sure they will be watching. I love King Julien. He’s so cute and funny. What a great idea to keep the kids occupied while we wait for New Year’s. 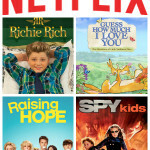 Netflix rules….I have it where the movies come in the mail by DVD well I did I started the direct stream 2 wks ago and OH BOY is it the bomb!! Thank you for sharing this but my grandkids will be to bed early. To much excitement the past two weeks. 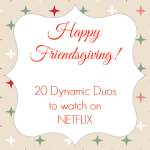 We’ve been debating getting Netflix, so maybe we’ll finally do it this year! I an sorry we don’t have Netflix and I missed this. My kiddos would have loved to have watched this. We are not be fans of the countdown shows on the TV so this would have been fun for them and they could be in bed at a decent hour. That’s great for little kids to have New Years and sleep. Watched this last night with the grandkids and they loved it, every time. Wish I had seen this sooner! I babysat my granddaughter last night and this would have been fun for us. That is definitely something I’ll remember for next year. I had heard about this, thank you for sharing and I hope a lot of parents took advantage of this. wow i would have witnessed the event on netflix. i just missed it. 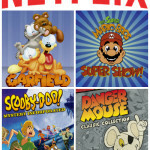 i love watching anything on netflix as it has some of the best movies and shows. How wonderful Netflix can be!!! My grandkids still request to watch this. Loving it! I think the new years special of king julian on netflix was very good. 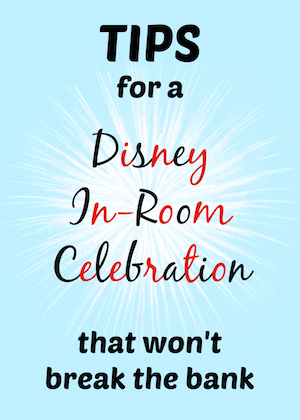 I wished I knew about this before, my kids would have loved it! This is so cute! Too bad I didn’t know about this before New Year’s eve. Cool I will look for it. This was such a good idea. Hope they do it next year. I love King Julien! He is so cute and ridiculous. I will have to go check out Netflix for this and have some silly kid fun as a full-grown adult (don’t judge me). It’s nice that the kids can have a count-down too.